What kid or teen books rocked your world growing up? Back in the Stone Age when I was growing up, there wasn't really any teen writing. Between 10 and 13 I had a serious Biggles habit. Biggles (Captain James Bigglesworth) was a fighter pilot in World War I. The kind of plane he flew was a Sopwith Camel, which, incidentally, is what Snoopy flies in the Peanuts cartoon strips. After that, I guess I went straight on to adult stuff. I was into US crime fiction pretty quickly, and haven't grown out of it yet. I still love Elmore Leonard. Describe your ideal place to write. The attic I write in now, but transported to some tropical paradise where lovely women with dark eyes bring me exotic cocktails every couple of hours and soothe my fevered brow. Your life is a TV series. Name the theme song, one event that would be on the "best of" episode, and one that would be on the blooper reel. Good Grief! Ummm... the theme tune would have to be 'So What?' by Miles Davis. That would be a good title for the series, come to think of it. I'm struggling to think of an event that wouldn't be on the blooper reel... Nope, can't do it. Burger-flippers want to know: have you ever had a job that required you to wear a geeky uniform? Details, please! The Lord has been merciful to me when it comes to geekwear. Worst I've had, I think, was a dinky little waiter's jacket and a bow tie (in which I looked dead cool, as I remember). 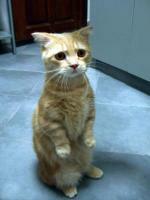 Mind you, you have to remember I haven't had a proper job for thirty years. it have? Wow. I'm not worthy, but thanks. OK, I guess it would have to be the El Gato: free-range catburger (preferably from the one that yowls in my yard at night) with jalapeno chutney and lemon mayo, with dried chili flakes on the fries. Hot!! Win a copy of TAMAR: A NOVEL OF ESPIONAGE, PASSION, AND BETRAYAL——signed by author Mal Peet! How? Easy! Just add a comment below...we'll pick a winner at random on Tuesday, November 20.
we at bookburger are not early adopters. we like to wait until the kink-worker-outers have done their jobs before we jump on any new-technology bandwagon. so we feel good that (unlike our older brother) we didn't rush out on that fateful day earlier this year when the iphones first appeared in stores. we feel smug that we waited until apple dropped the price two hundred bucks. only problem: $399 is still not cheap enough for us, and we still don't have one! 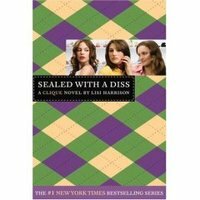 Enter the great minds who publish the Gossip Girls books. They're giving away an iphone on the GG website! Go here to enter through November 14. Just don't win. We've got dibs! especially if your name is Alexandra! Congrats Alex! 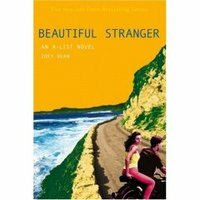 Email us at dj at bookburger .com to claim your free copy of this beautiful yellow new novel. 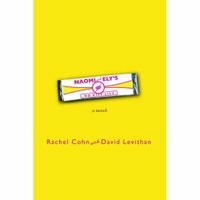 Burger interviewee Rachel Cohn has a new one coming out, and once again she's teamed up with David Levithan, her co-author on the fabulously musical Nick and Nora's Infinite Playlist. This one's called Naomi and Ely's No Kiss List. 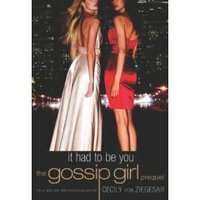 It's about two childhood friends--a gal and h er gay dude pal--and what happens when they both fall for the same guy. Oh yeah, and there's a chihuahua named Cutie Pie...we love what happens when these two authors get together on the page, and we can't wait to read this one. We've got a brand new copy to give away, too...want it? Comment below and we'll pick a winner on September 15. What's so great about Stephenie Meyer's Eclipse? uh...like, everything? We're just bummed that we were too late to enter to win one of these bitchin' Team Edward/Team Jacob tees, which they were giving away at the spiffy new Eclipse website. We're glad we caught up with megaseller Steph way back when she was a mere bestseller. Zac Efron as Edward: cool idea or horrible crime against literature? 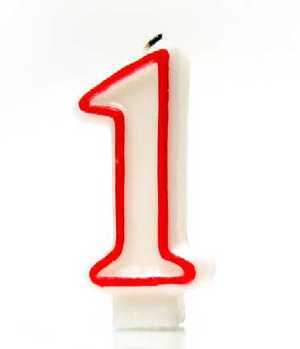 well, burgerfolk,they said it couldn't be done--they said we'd never last...(ok nobody ever actually said that) but still it's our one-year anniversary this week...OUR FIRST BIRTHDAY! The Whole Sky Full of Stars by Rene Saldana, Jr. Here's how this explosion of free goodies is gonna work. Sign up for the bookburger b-list in the box on the right side of the page--(where it says "We deliver"). We'll choose a winner off of our b-list every day for two whole weeks....so lovelies, you've got nothing to lose and brand-new, hot-off-the-presses free books to gain! happy birthday to all burgerpeople everywhere!